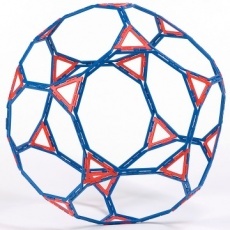 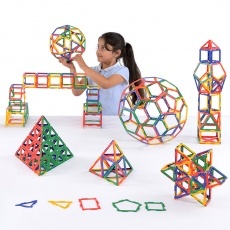 Frameworks is the next generation of Polydron with the versatility for bigger and more complex shapes. 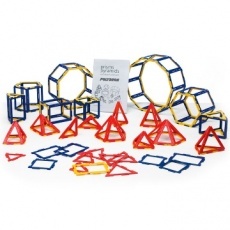 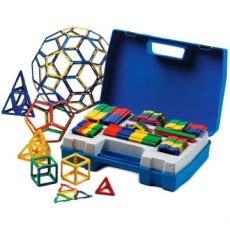 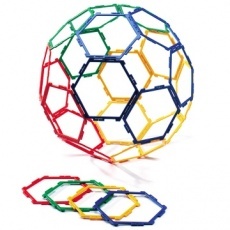 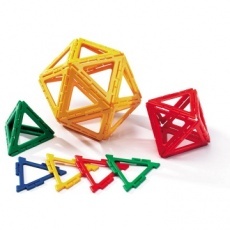 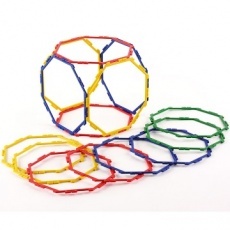 A unique joining system makes Frameworks completely compatible with original Polydron which will complement any packs already in the classroom. 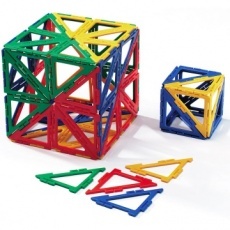 Frameworks is lighter so the user can construct more complex and adventurous designs that allow them to see inside of the shape, and explore the space within. 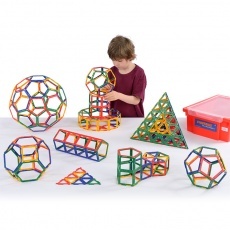 Frameworks is equally versatile when used independently and will help learners to investigate and understand shapes, angles, edges, vertices, planes and tangents. 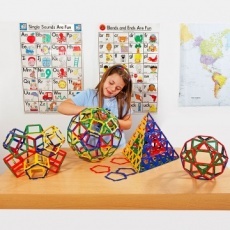 All sets are accompanied by a booklet to help teachers understand how Frameworks can provide a wide range of stimulating learning experiences for their pupils. 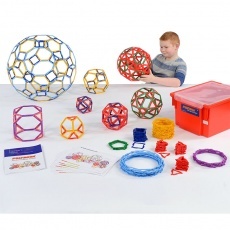 An excellent addition to any classroom which will benefit children from age 6 upwards.